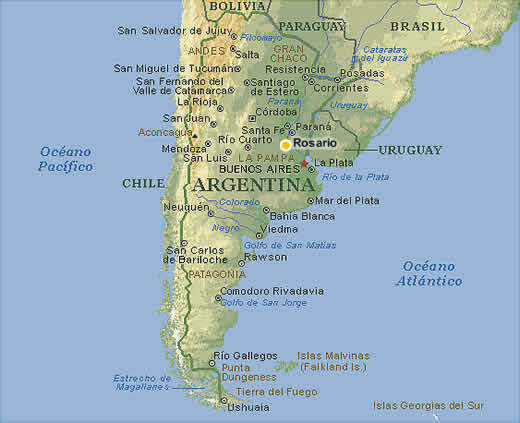 Santa Fe, the province which governs Rosario, is home to a network of 32 ports which export grain and soya around the world. That, of course, is an economic asset. But those commercial facilities make Rosario an ideal staging post for transporting drugs to Europe, typically via west Africa. Bolivian cocaine arrives in the city by road; Paraguayan marijuana by river. Most is shipped abroad, but some is distributed in Rosario’s villas: poverty-stricken districts on the city’s outskirts where local gangs fight an increasingly brutal turf war. “Problems used to be resolved through insults or a punchup—now it’s with bullets,” says Gerardo Bongiovanni, who runs Fundación Libertad, a think-tank. Santa Fe’s provincial police force, tasked with protecting Rosario’s residents, is clearly part of the problem rather than the solution. Many in its ranks are thought to have close links with the city’s narco gangs. Around 200 are currently under federal investigation. The rot extends to the very top: last October the provincial chief of police was sentenced to six years in prison for involvement in drug trafficking. Miguel Lifschitz, Santa Fe’s governor since December, has struggled to find a replacement: the current chief is the third to hold office so far this year. The judiciary is in disarray. Provincial judges hand down lenient sentences and allow dangerous criminals out on probation. One reason for this is an overburdened prison system. The Argentinian government is now coordinating anti-crime efforts by a strategic committee, and is posting federal police to the area, along with (perhaps) foreign help. Let’s hope that works. If Argentina cleans up Rosario, perhaps they can give some helpful hints to Chicago.